After a 6 week long holiday I was happy to stand back into my kitchen and cook with all the beauties which are in season now. 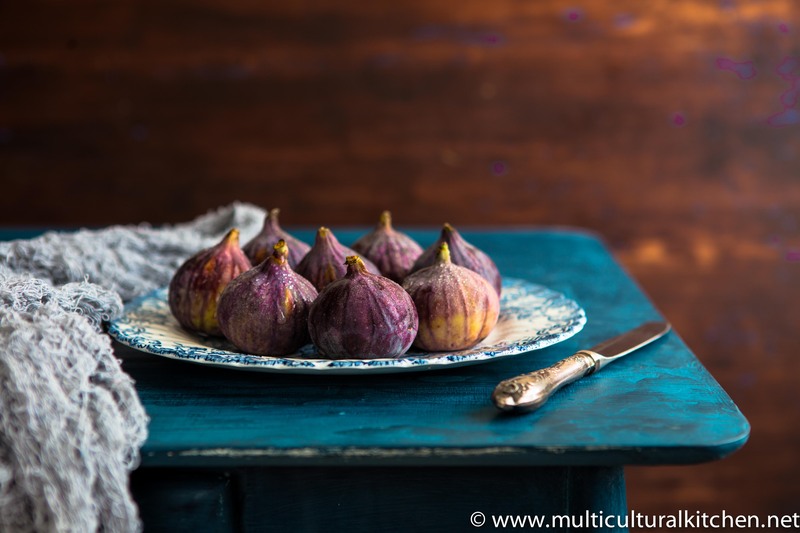 My all time favourite in September is definitely fig. 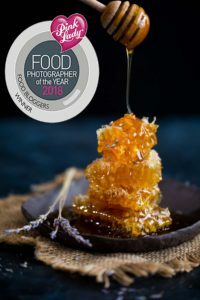 Its vibrant colour, juicy flesh and sweet taste goes pretty well not just with sweets but with savoury meals, too. 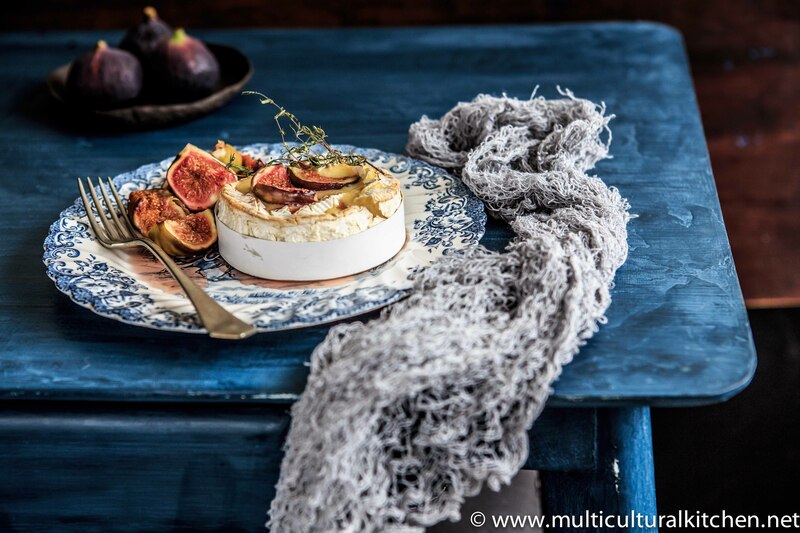 Baked Camembert with Roasted Figs is a real Jolly Joker when hot food should be served quickly. There’s no trick at all how to bake it. Preheat oven to 180 C then draw crosses on the top of the cheese with a sharp knife, and squeeze some thyme sprigs in the holes. Then put the cheese back in its tray (hopefully that’s a sort of wooden or paper one) place it on a baking tray then bake for about 25-30 minutes until gets soft in the middle. 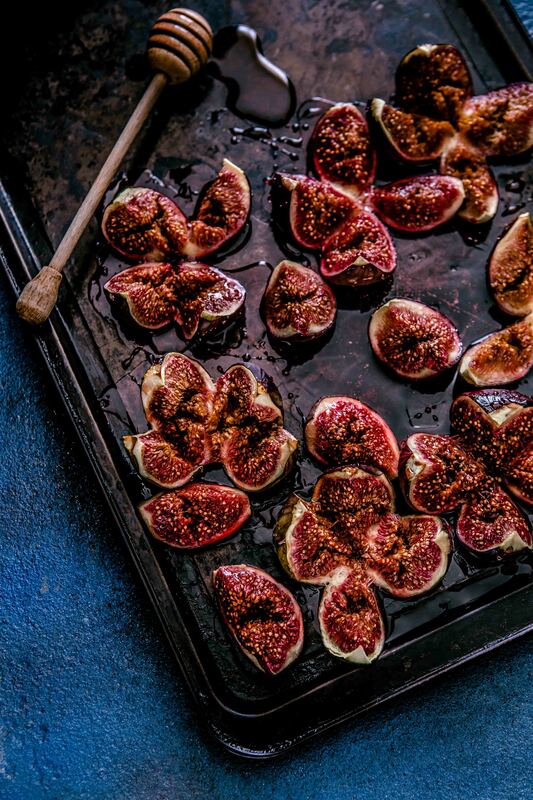 Meanwhile wash the figs, cut into quarters then pop them into a baking tin. Bake for 15 minutes or until get soft, then serve on the top of camembert, drizzle with some honey drops if need.